This week, learn more about media relations, cycling infrastructure, and xenophobia. Theatre producer Renna Reddie, pictured here with playwright & actor Kawa Ada, is on tonight’s Bellows panel. Photo by Tanja Tizania. Following last week‘s #UrbanExhange panel on arts criticism in the digital age, tonight’s The Bellows panel with theatre professionals is on media relations: how to pitch your show to media outlets and how to effectively use social media, moderated and hosted by Pip Bradford, Chris Ross, and Kevin Hutson. The panelists include publicist Sue Edworthy, producer Renna Reddie, and this writer. Theatre Passe Muraille (16 Ryerson Avenue), 7 p.m., PWYC. 2016 was a big year for cycling infrastructure with the success of your Superhero of the year, the Bloor Bike Lanes pilot project. Bike Lanes – What’s Next For Toronto?, hosted by Why Should I Care?, is an opportunity to meet with local advocate (and occasional Torontoist contributor) Albert Koehl and the City of Toronto’s Acting Director of Transportation Infrastructure Management, Jacquelyn Hayward Gulati, to get a better idea of how the Bloor pilot project may affect city planning. Madison Avenue Pub (14 Madison Avenue), 7 p.m., FREE. First time playwright Arun Lakra was inspired by the double helix to write a play whose subjects (and characters) intertwine and relate without actually intersecting. That play, Sequence, won an armful of awards in Alberta and has its Toronto premiere this month at Tarragon Theatre. Lakra’s four characters, in two two-handers, debate the math and mystery of luck and probability theory and its effect on their lives. Could it, like genetic traits such as left-handedness and progressive eye conditions (here, Lakra draws on his background as an eye surgeon), be manipulated? There’s a lot of words for the cast to chew on—while their performances are effective, this is very much a playwright’s showcase. Some may be frustrated by the lack of definite connections between the two stories; as with the genome, we’re left with more questions then answers. To February 12, Tarragon Theatre (30 Bridgman Avenue), Tuesday–Saturday, 8 p.m., Saturday–Sunday, 2:30 p.m., $22–$65. Improvised sci-fi story podcast Illusionoid launches their first live recording of 2017 with two special guests: Kristian Bruun, co-star of Space’s Orphan Black, who recently closed Songbuster at the Next Stage Festival, and John Catucci, host of the hit Food Network show You Gotta Eat Here!. Social Capital Theatre (154 Danforth Avenue, second floor), doors at 7:30 p.m., show at 8 p.m., $10. Stand-up comic and writer Amanda Brooke Perrin made the move to Los Angeles three months ago, but she’s still dropping in on some old pals’ Toronto shows on occasion. Tonight, that includes Clare Belford’s Comedy On College; other guests on the show include Pat Burtscher and Chantel Marostica. Pour Boy (583 College Street), 8 p.m., FREE. With Donald Trump’s inauguration on Friday, the Mosaic Institute is examining how racism and xenophobia his campaign promoted has spilled over our borders. Canada in a Trump World will tackle those issues with panelists including the Toronto Star‘s Desmond Cole and Karen Mock of JSpaceCanada, as well as moderator Warren Kinsella. Isabel Bader Theatre (93 Charles Street West), 7:30 p.m., $5–$35. Radio station Indie88 is launching a new (and free!) showcase series, Band and a Movie. It delivers exactly what the title promises—a live performance by a music act, followed by a screening of a film selected by said band. Kicking the series off are local and veteran pop rockers Born Ruffians, who’ve selected Sidney Lumet’s acclaimed (and filmed in Toronto!) Network to throw up on the big screen. The Royal Cinema (608 College Street), doors at 7:30, show at 8 p.m., FREE. Spirits Comedy, the weekly stand-up show that celebrated its 20th anniversary last month, is presenting a Winter Pride edition this week with an all LGBTQ bill, including Andrew Johnston, Dawn Whitwell, Richard Ryder, and host Ted Morris. Spirits (642 Church Street), 9 p.m., FREE. 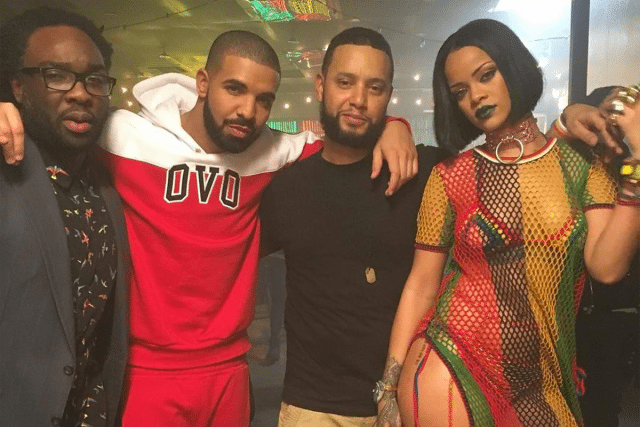 Director X (seen here on the set of Rihanna’s “Work” video) speaks with Cameron Bailey at TIFF Lightbox tonight. Photo courtesy Rihanna’s Twitter account. There’s all sorts of special guests and programming associated with TIFF’s 16th annual Canada’s Top Ten Film Festival. Perhaps the brightest star taking part is Director X, the local boy made good in the world of chart topping music videos (and city-entrancing public art projects). Festival Artistic Director Cameron Bailey sits down with him for In Conversation With… Director X tonight. TIFF Bell Lightbox (350 King Street West), 7 p.m., $23.75. It’s a busy night for Canadian music acts, with electronica chanteuse Austra at the Mod Club, Sam Roberts Band playing Rebel, and more. But perhaps the hottest ticket (and certainly the cheapest) is the Baby G Opening Party, featuring Fake Palms, Elsa, and Lonely Parade; the venue’s been hosting shows since September, but this is their official (and free to all, subject to capacity) debut. The Baby G (1608 Dundas Street West), 9 p.m., FREE. Veteran hip-hop duo Blackalicious are at Lee’s Palace tonight too, and maybe after their set, they’ll show up as surprise guests at Hip-Hop Karaoke, where their songs have been performed before. Special guests or no, the regulars will be there: that is, MCs Abdominal and More or Les with DJ Ted Dancin’. 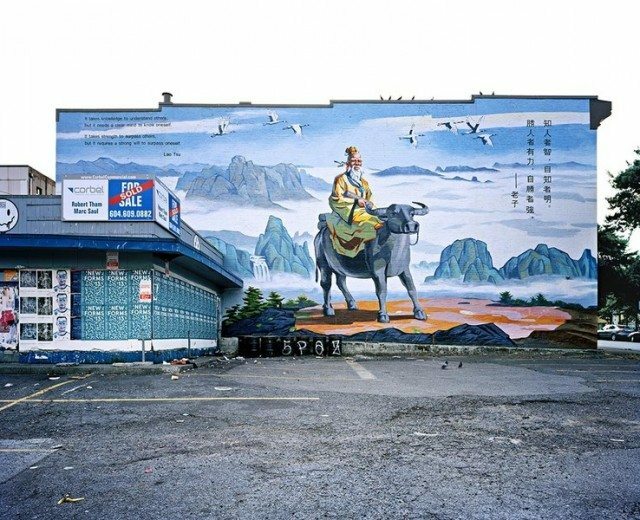 Revival Bar (783 College Street West), doors at 10 p.m., $10 before 11 p.m., $15 after 11 p.m..
Lao Tsu Mural, photo by Morris Lum. Image courtesy of the artist. Hundreds of thousands of people are expected to attend the Women’s March on Washington, dwarfing Donald Trump’s expected turnout for his inauguration. For those unable to attend the event stateside, a corresponding march here in Toronto, Women’s March on Washington: Toronto, is expecting a turnout of thousands, at least. Saturday, Queen’s Park (110 Wellesley Street West), noon, FREE. The Harbourfront Centre’s Winter Exhibitions launch this Saturday, with an open to the public reception for all five exhibits. Four of the five exhibits are also part of the Toronto Design Offsite Festival, which focus on work/life and practical applications, be they lighting or clothing; for the fifth exhibit, photographer Morris Lum’s Tong Yan Gaai chronicles his cross-Canada journey seeking out examples of Chinese-Canadian culture. Saturday, Harbourfront Centre (235 Queens Quay West), 6 p.m.–10 p.m., FREE. He closed his Next Stage Festival show Two Truths & A Lie last week, and now Helder Brum and Friends are back in more familiar environs. He’s back at the cabaret space at Comedy Bar for his monthly show, where his guests will include stand-up Nour Hadidi, A Shoddy Magician, musical guest Drew Smith (Bunny, Dr. Ew, The Bicycles), and more. Saturday, Comedy Bar (945 Bloor Street West), 8 p.m., $10 in advance, $15 at the door. The Class of 2017 showcase series, presented by Exclaim! magazine and booker Dan Burke, moves back to the Silver Dollar this weekend for show four of five. On the bill this time are psych rockers The Sulks, Whitby rockers chastity, local shoegazers Sahara, and Yi, a new project from members of Beliefs and ROLEMODEL. Saturday, The Silver Dollar (486 Spadina Avenue), door at 8:30 p.m., show at 9 p.m., $10. 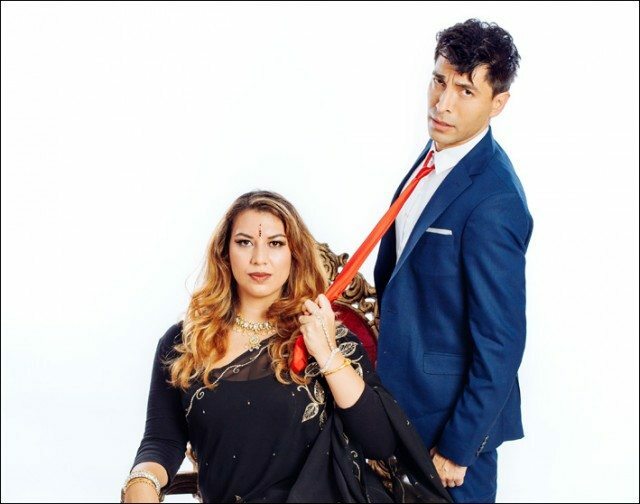 The first show to open the main space of Crow’s Theatre‘s new east-end complex, the Streetcar Crowsnest, will be The Wedding Party. But the first nightly programmed event in their studio space will be Outside the March’s storytelling series. The Spoke: Go East is the company’s first show in a new residency there; this edition, hosted by Vanessa Smythe and Tony Cushman, will feature a half dozen storyteller guests talking about life-changing trips. Sunday, Streetcar Crowsnest (345 Carlaw Avenue), doors at 7:30 p.m., show at 8 p.m., PWYC.